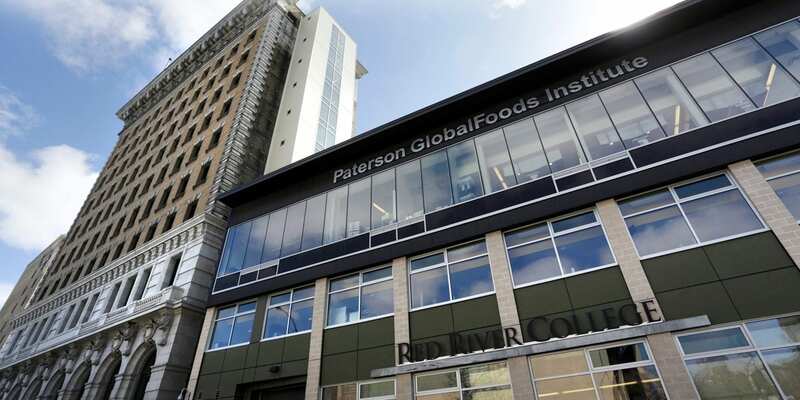 You’ll have plenty of dining options when you live on campus at RRC. It’s all part of a new food attitude that embraces local and seasonal ingredients, cultural menus, and old-fashioned scratch cooking. Everything from soup and sandwiches to full course meals can be purchased. Residents are provided with microwaves to prepare food in their rooms and the common area lounges. The use of toasters and other small cooking appliances (ie: anything that becomes hot) is not allowed in rooms as proper ventilation and counter space is not available, and single rooms do not have kitchen sinks. Residence kitchens do not include dishes, flatware, or utensils so it’s a good idea to bring your own supplies. We do not offer meal plan options during the Spring term. New: We no longer have mandatory Meal Plans. Red River College Food Services are open to students, staff, and public and accept cash, debit card, and credit card transactions. Campus Living is offering two convenient options for residents wishing to take advantage of the amazing Food Services Red River College has to offer without the hassle of carrying cash or incurring transaction fees. Both of the following options work on a declining debit system at any RRC Winnipeg-Campus Food Services location (alcohol purchases, Red Card, and Tim Horton’s cards are not permitted on the Meal Plan card). Any resident may purchase a RED card (Red River College Food Services taxable gift card with no expiry date), in person from any Food Services Cashier for values between $20 – $200 dollars. To check the balance of your RED card, refer to the receipt of your most recent food purchase. You can add additional credit to your RED card when the balance gets low. RED cards are to be treated like cash. These cards are redeemable only at participating RRC Food Service locations. The card dollar value will be applied to applicable cardholder purchases. The card balance is redeemable for food and beverage only, and will not be exchanged for cash. Red River College is not responsible for the unauthorized use of this card, or for lost or stolen cards. Lost or stolen cards will not be replaced. All residents who live in residence for 30 or more consecutive days during the Fall term may choose to have a meal plan added to their account, and placed on their student card for any value between $201 – $500. This is done at the Campus Living Office after move-in. To activate the Meal Plan, the resident must sign the Campus Living Meal Plan Contract, pay the meal plan $25 admin fee, and the entire cost of the meal plan value you wish to purchase. Meal Plan Cards have real value; as the cardholder, it is your responsibility to ensure its safety. Lost cards must be reported immediately to the Campus Living Office, who will deactivate the card and issue a replacement. You are responsible for any unauthorized purchases up to the time you report the missing card. Replacement cards with the remaining balance will be issued at a cost of $25. To check the balance of your meal card, please refer to the receipt of your most recent food purchase. You can add additional credit to your Meal Plan card when the balance gets low.